So, apart from the Tornado 302, which we have spoken about a few minutes back (here), we asked Shirish Kulkarni, Chairman of DSK MotoWheels, about his plans for the very interesting TRK502 which was also unveiled at the EICMA 2015, few weeks back. He responded in the affirmative and confirmed that they do have plans to launch TRK502 in India and the time they are expecting is somewhere around August-September 2016. He also promised to showcase it at the Auto Expo in February and said that he is, in fact, pushing for an earlier time frame. Here is an edited excerpt from his response regarding the TRK502…. TRK502 sports a 499.6 cc in-line twin cylinder liquid cooled mill producing 47.6 PS of maximum power at 8,500 rpm and an impressive 45 Nm of peak torque at 4,500 rpm which is mated to a six speed gearbox. The adventure tourer also gets a large 20 litre fuel tank, 230 mm of badass ground clearance and weighs 210 kg. The bike showcased in Milan sported twin discs upfront with a single rotor at the rear. ABS is expected to be standard. The front gets a creative head lamp cluster and the overall design theme looks inspired from the bigger BMW GS’. 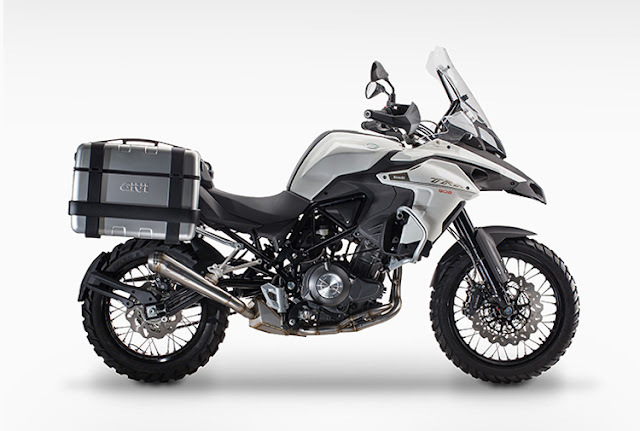 Benelli has priced some of their motorcycles like the 600s very aggressively and if they can continue the aggression onto this one, we may have one very impressive mid-sized adventure tourer in the making, possibly the bestseller!